All therapists at the Wodonga Osteopathy Clinic are registered primary health care practitioners with recognised qualifications. Adam is a graduate of RMIT 2001 Bachelor of Applied Science (Clinical Science), and Bachelor of Osteopathic Science (with Hons 1st Class). Adam’s osteopathic career began with 2 years solid grounding work at the busy Bendigo Osteopathic Clinic. Further testing enabled registration to work in a thriving multidisciplinary practice near Bristol, UK. During this time, Adam completed courses in Dry Needle Therapy in London and then later in Melbourne. 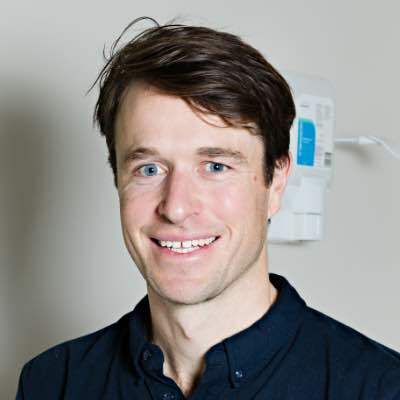 Returning to his home region of North East Victoria, Adam opened the Wodonga Osteopathic Clinic in 2005, which has grown to accommodate a dedicated clinic of seven osteopaths, an exercise physiologist and myotherapist. He has developed a particular interest in assisting those with chronic conditions, particularly those who struggle to manage pain associated with osteoarthritis in their senior years. Adam is passionate about providing the best personalised care, and remains curious to learn more. Married and with 3 beautiful daughters, Adam tries to be a handy man, celebrates humour, and dreams about spending more time outdoors. 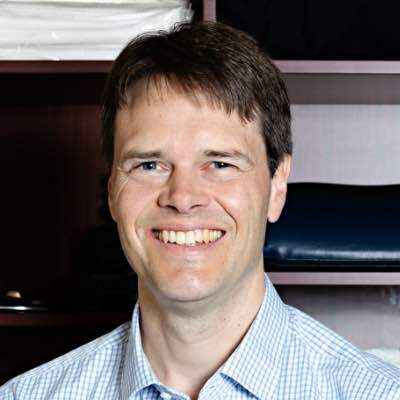 He finds providing care for his community as an Osteopath thoroughly engaging and rewarding. Andrew graduated from RMIT University in 2000 after completing a five year double degree in Osteopathic Science and Applied Clinical Science. He practised osteopathy in Fairfield and Bayswater (suburban Melbourne) from 2001-2004 before relocating to Albury-Wodonga in January 2005. He treats patients of all ages, and for any condition that can benefit from osteopathy. Andrew grew up enjoying sports and physical activities. He has been a swimmer and played water-polo for many years. Andrew has a good understanding of many sporting injuries and the effects of overtraining on the body. This comes from his time training at the AIS and with the Australian water polo team from 1997-2004. He can help athletes using his knowledge of strength and flexibility training, combined with osteopathic treatment, to gain a better understanding of how to manage their training and injuries. In June 2010 Andrew toured with the Australian Water-polo team as their osteopath. However, Andrew enjoys treating all patients, not only athletes and sports-people. 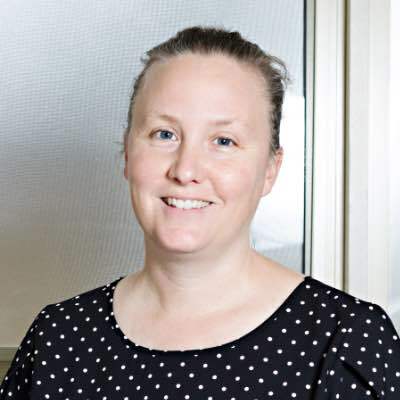 Rebecca graduated with distinction from RMIT University in 2000 after completing a five year double degree in Osteopathic Science and Applied Clinical Science. She has worked in clinics in Melbourne and locally before joining the team at Wodonga Osteopathic clinic in 2013. Rebecca is passionate about Osteopathy and enjoys the challenge that comes from seeing a diverse range of conditions and patients in her daily practice. In 2012, after seeing a number of patients suffer from stress related conditions, Rebecca decided to complete a Radiant Light Yoga teacher training course with the aim of using yoga’s breathing, stretching and meditation techniques to better help her patients. Rebecca has attended various postgraduate courses both here in Australia and the US. Her post graduate study has been focused on the treatment of the obstetric patients, neurological conditions, orthopaedic conditions and osteopathy in the cranial field. In her spare time Rebecca likes to spend time with her family, cook and practice yoga. She also has a special interest in the Arts after being a performer and Osteopath for the Flying Fruit Fly Circus. 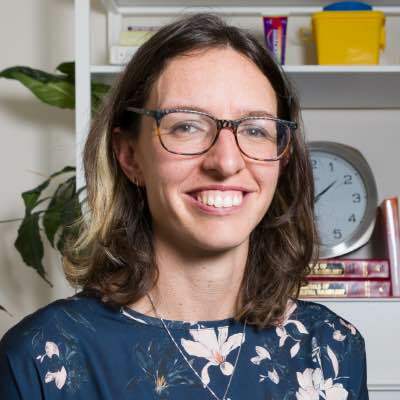 Kate completed her osteopathic training at the University of Western Sydney in 2007 obtaining a Bachelor of Applied Science (osteopathy) and Master of osteopathy. Since then she has worked in clinics in both Albury-Wodonga and Melbourne. Kate returned back to her home town in 2016 to work in her original place of practice at Wodonga Osteopathic Clinic. The move back to the region has also allowed her to be closer to her family. 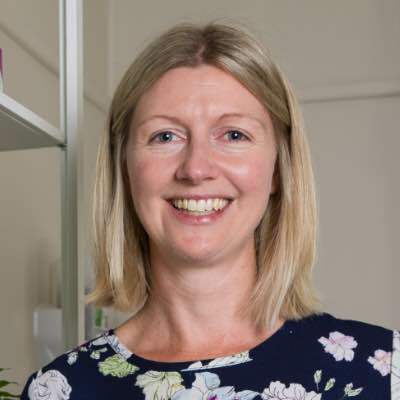 Kate has spent her time in practice treating a variety of general musculoskeletal complaints including lower back pain, sciatica, neck pain, headaches and migraine, upper and lower limb complaints, arthritic conditions as well as sporting injuries. She also has an interest in treating jaw pain, tendonitis as well as foot and ankle complaints. Kate aims her treatment towards improvements and preventing re-occurrence by combining manual therapy sessions with rehabilitation advice. She uses stretching and soft tissue techniques, manipulation and mobilisation, dry needling, cupping, muscle energy techniques as well as gentle release techniques. Outside of work Kate enjoys down-hill snow skiing during the winter and a mix of recreational riding and hiking in the warmer months. She looks forward to building a good rapport with her patients. Gerard graduated from Victoria University of Technology, and began work in Melbourne Osteohealth working in both their CBD and Fitzroy clinics. Seeking the good life, he moved back to the glorious northeast to further his career at Wodonga Osteopathic Clinic in 2013. Gerard has a passion for health, wellbeing and fitness, splitting his time between work as an osteopath with training for, and competing, as a professional triathlete both nationally and internationally. Seeing firsthand how important mobility and full function is, his goal in practice is providing treatment, management and education to enable all of his patients to achieve their personal goals, no matter how big or small. He loves to combine his personal experiences from competing at an elite level sport with the knowledge gained working as an osteopath to improve the health and wellbeing of a broad demographic. 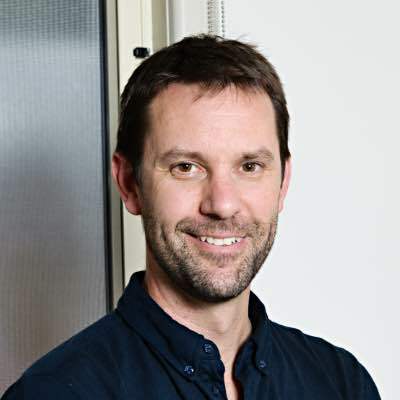 From maximising the potential health in elderly and those suffering chronic conditions or those presenting with new injuries from sport or training, Gerard provides a careful and considered approach in applying manual therapy. Annabel graduated from Victoria University in 2014 with a Master of Health Science (Osteopathy). During her final year she was selected for an internship at SportsMed Mumbai, a sports medicine hospital in India where she observed orthopaedic surgeries such as ACL reconstructions and provided rehabilitation care to patients. As part of her Master’s degree she performed research on injury prevention for diesel mechanics in the workplace. An appropriate topic, as Annabel is secretly a bit of a rev-head, who would one day love to work in Formula 1 racing. Annabel has additional training in Dry Needling and is a Rehab Level 1 pilates instructor and enjoys incorporating her pilates training into her treatments by prescribing strengthening and flexibility exercises. A soccer player herself, Annabel has worked with professional athletes such as Melbourne City Soccer Club and for Iron Man Australia. She has an interest in treating sports injuries and has an active approach to injury recovery and prevention. Annabel’s treatments are respectful to each individual and techniques are tailored to suit the needs of the patient. Her calm and caring personality is always looking to get the best from her patients, whether it be on the sporting field or in day to day challenges at work or home. 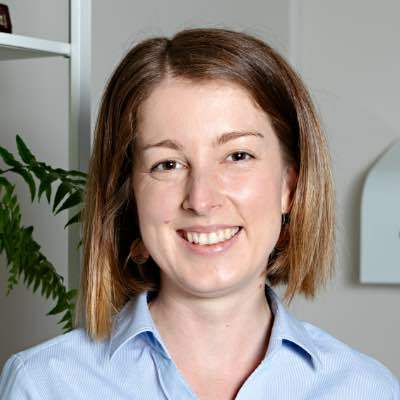 Sarah Stewart graduated from RMIT University in Melbourne, Australia with a degree in Clinical Science (Complementary Medicine) and a Master of Osteopathy in 2009. Sarah relocated to the warmer climate of Queensland, where she spent a busy year surfing and treating a wide variety of people and conditions, ranging from elite sportspeople to weekend warriors and everyone in between. 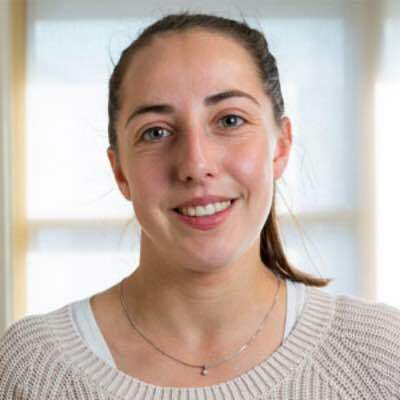 Upon returning to Melbourne, Sarah worked in a diversity of clinical settings and completed further studies in obstetrics and gynaecology, treatment of children, sport injuries, rehabilitation, dry needling and a Diploma in Animal Osteopathy. After nearly 7 years at home, Sarah indulged her passion for wanderlust and relocated to Dublin, Ireland, for a year of work, rain, travel, conversation and huddling around the fireplace. Sarah became involved in osteopathy at a young age as a result of various sporting injuries sustained during a successful athletics career. She found osteopathic treatment to be the most helpful modality to reduce pain and improve mobility, as well as practical lifestyle changes and rehabilitation exercises that could be continued away from the clinic. This is reflected in her treatment style, which incorporates both direct structural techniques including soft tissue, stretching, joint mobilisation and manipulation, as well as gentle functional treatment and biodynamic osteopathy in the cranial field. She has a special interest in treating babies and children, as well as their mothers through every stage of the process. Sarah is passionate about education and is always completing further studies to hone her skills and update her knowledge, and reading the latest research in the field of manual medicine. She will always welcome questions as she also likes to educate her patients if they are interested. 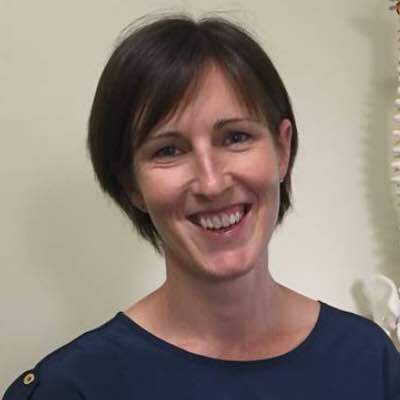 Sarah has additional qualifications in myofascial dry needling, treatment of children, and biodynamic osteopathy in the cranial field (Phases 1-4, Phase 1 Children) and is a qualified Animal Osteopath and member of Animal Biomechanical Professionals Australia. When she’s not at work, Sarah enjoys playing with her animals and planning holidays. When at work, she enjoys telling you about them. I graduated in 2003 from RMIT completing an Advanced Diploma of Myotherapy. I've been practicing in the beautiful Yackandandah valley since 2016. I am passionate about further professional development. I have completed courses in Dry needling, Functional release Cupping, Joint Mobilisation and Guidelines for Pre and Post-Natal manual therapy. Joining Wodonga Osteopathic Clinic provides another avenue to further enhance skills and share ideas within the team. I'm happily married and have 3 children. In my spare time I enjoy being active with my family, bike riding, bushwalking... and doing Pilates and yoga by myself! Myotherapy is a great way to reduce client’s pain and improve their function, through the use of soft tissue techniques such as myofascial release, deep tissue massage, dry needling and functional release cupping. Maddi graduated from Griffith University (Gold Coast Campus) in 2015 after completing a four year degree Bachelor of Exercise Science & Graduate Diploma of Exercise Science (Exercise Physiology). Immediately after graduation Maddi returned to her hometown Albury-Wodonga practicing as an Exercise Physiologist locally before joining Wodonga Osteopathic Clinic in 2018. Exercise physiologists specialize in treating chronic conditions through the prescription of individualised exercise and rehabilitation programs. Maddi enjoys building strong rapport with all clientele in order to help clients achieve their desired goals and strongly believes exercise is a form of preventative medicine. Maddi has a special interest in assisting people with lower back pain, osteoarthritis, diabetes, post-surgical procedures and women’s health. Maddi has an interest in a wide variety of sports, and leads an active lifestyle herself. When not playing or training for netball, Maddi remains passionate about exercise through recreational hikes, running or playing ‘social’ tennis. © Copyright 2018, Wodonga Osteopathic Clinic. All Rights Reserved.